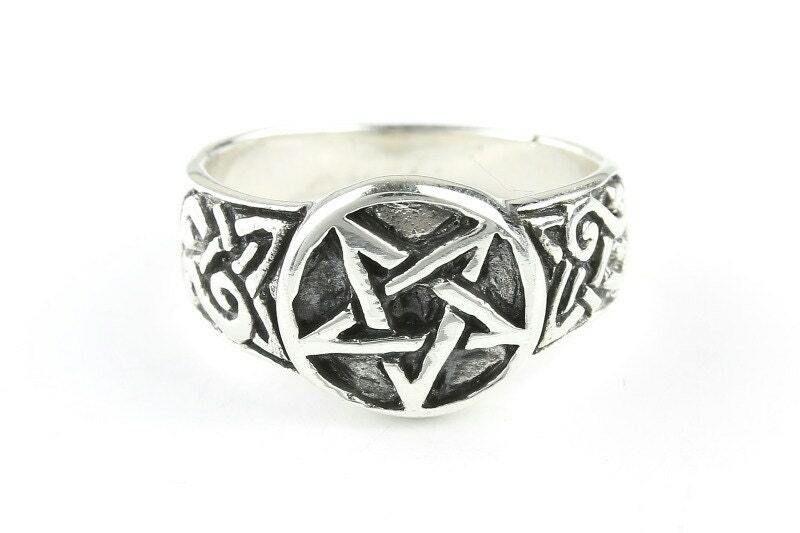 Sterling silver pentagram ring. 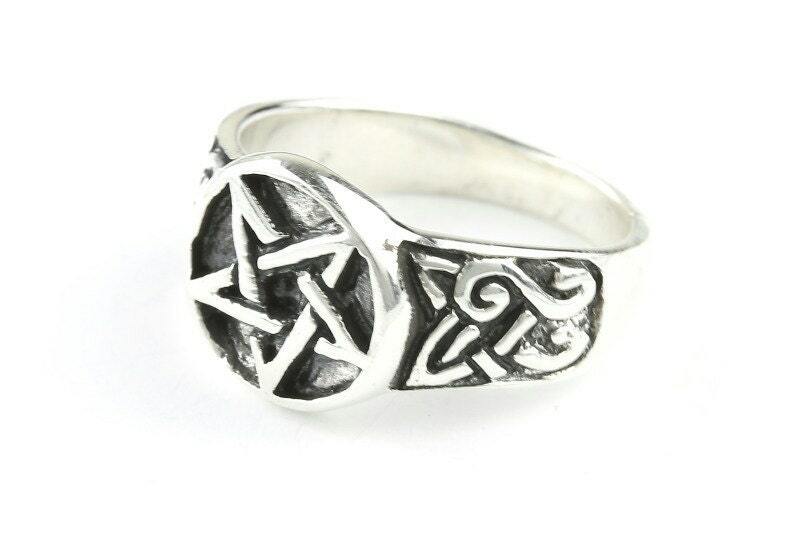 With lovely Celtic knot detail on the band. Dark patina finish accentuates the strong detail of the piece. Absolutely love this ring! Fits like a glove and I am now rarely seen without it.